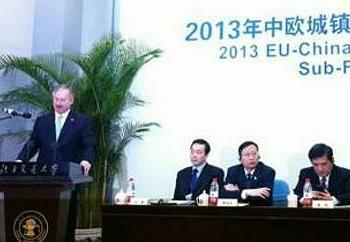 BEIJING, China, November 25, 2013 (ENS) – The European Union and China are working together to improve urban mobility. Hundreds of European and Chinese city mayors as well as academics and business representatives with an interest in the future of urbanization gathered in Beijing at the Second EU China Urban Forum Thursday through Saturday to share ideas and identify future co-operation activities. Tianjin, Shenzhen and 10 other Chinese cities signed partnership agreements with European cities and organizations during the forum. “China expects more EU countries and cities as well as enterprises and organizations to establish close and practical partnership with their Chinese counterparts,” said Xu Shaoshi, head of the National Development and Reform Commission, the country’s top economic planner. “Together Europe and China can lead the way towards sustainable urbanization and create a win-win situation for our citizens, business and the environment,” said Kallas, who is in charge of transport for the European Union. Improving urban mobility to increase the accessibility and attractiveness of urban areas is a major challenge in both Europe and China, he said. The European Commission – in consultation with the EU Chamber of Commerce in China – has agreed with the Chinese government to focus on co-operation in: public transport operations and management, congestion management, sustainable urban mobility planning and urban road safety. Europe is widely regarded as having excellent urban mobility expertise and technologies, while China, with its large and rapidly expanding cities, is the world’s largest market for urban mobility goods and services. Over the past year European and Chinese experts have worked together to prepare policy recommendations to present to the Chinese leadership to help the Chinese State Council set the right course for urban mobility in China. 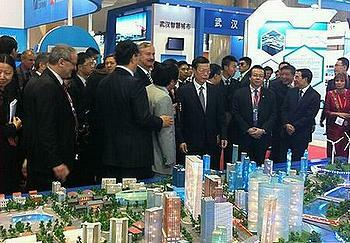 Opening the EU-China Exhibition on Urban Development in Beijing on Wednesday, Chinese Vice Premier Zhang Gaoli called for deepened and practical cooperation between China and European countries in urbanization. China and Europe are in different stages of urbanization and their cooperation in the field has great potential and prospects, said Zhang. China needs to learn advanced concepts, technology and managerial experiences from European countries as it is formulating an urbanization plan, he said. Meanwhile, participating in China’s urbanization construction will help European countries and enterprises to expand the market of industries and products, he said. Zhang called for practical collaboration between China and Europe by enhancing governmental communications and negotiations and allowing companies to cooperate. The EU/China Urban Partnership was signed by European Commission President José Manuel Barroso on behalf of the European Union and its Member States in May 2012. The broad agreement aims to stimulate exchange and joint activities between experts, companies, politicians and public administrations.